See below the myriad ways this water device enriches health and how to get $300 off. On the sh ow, This Week in America with host Ric Bratton, I discuss pH balance, how to identify if you have Metabolic Acidosis (most people have this condition and don't know it), and surefire tips to heal with an alkaline diet and lifestyle. To listen, click HERE. To learn more about how alkaline water, an alkaline-based diet and lifestyle, heat therapy and year-round detox benefits the body, please refer to my books Be the Change and Choose to THRIVE. for an Infrared Sauna and $300 for the Ionizer Plus Alkaline Electrolyzer. Call Emery (Details Below — 800-794-5355 MT, Ext. 813) and Use My Name (SSJ) as the Promo Code = $800 Savings! The pH levels of the body's internal fluids affect every single cell in the body. Increases or decreases in pH denature enzymes, harm important metabolic processes and can result in serious health consequences. This, in turn, affects the tissues, organs, and even the nervous system and signals from the brain. The normal range of pH of urine fluctuates from 4.5 to 8. Urine pH is a good screening test to help predict a variety of disease states within the body. The diet has a huge influence on the pH of the urine and the body's pH throughout the day. Citrus fruits, legumes, and vegetables raise the pH, making the urine more alkaline. Meats and cranberry juice have the opposite effect, making urine more acidic. A first morning urine pH test is the only pH test worth doing. The body's first morning urine tells you what the kidneys are doing. The kidneys do their work overnight and the urine produced in the morning is usually acidic. To neutralize acidic waste, drinking alkaline water and eating an alkaline diet is imperative. Otherwise, sodium, magnesium, and calcium are depleted and the body begins to steal calcium from the bones to neutralize acidic waste in the kidneys. In severe cases, this will result in osteoporosis. Secretion of acidic urine by the kidneys is one of the most important mechanisms the body uses to maintain a constant body pH. In people w ho are not drinking alkaline water, the pH of urine tends to be acidic. Control of pH is important in the management of several diseases. Consumption of alkaline water will make the urine less acidic. 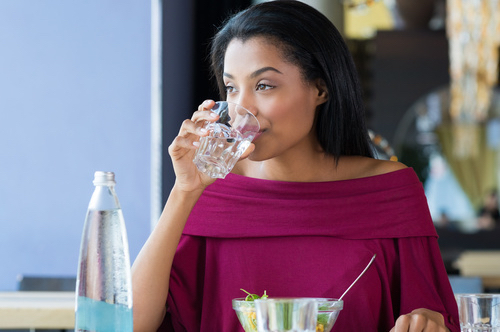 Below highlights the many ways you can benefit from drinking alkaline water. For 20 years, I have been using the Ionizer Plus Water® Electrolizer system and it's made a profound difference in my health. In fact, I would never be without this machine in my healthy kitchen and office. Below you'll learn more about acidosis and its effects on the body and health. Visit HighTechHealth.com to learn more about this health-enriching water purification device that I've used and recommended for two decades. Use my name as a code and get a $300 discount. It's front and center in my home — along with their stellar Transcend Infrared Sauna, which I've also enjoyed for years. Click on the link for detailed info on the healing benefits of taking infrared saunas and how to get a $500 discount. Emery at Ext. 813 is their Detoxification & Product Specialist and will help you with any questions. Tell her hello from me. FYI: Into my glass of Ionizer Plus purified, alkaline water, I will frequently add in a tablet of Molecular Hydrogen by Vital Reaction, a sister company to High Tech Health. It takes seconds for a million dazzling nanobubbles to dissolve and then I drink it down on an empty stomach. Within minutes, I feel more vibrant, energetic and in the pink. It's definitely vitality in a glass of water. I usually take 1-2 tablets daily in water (one at a time). For a concise fact sheet on Molecular Hydrogen Tablets & Inhaler and to find out how to purchase both and get a discount and FREE shipping, click HERE. I also so often put in fresh lemon slices with my H2and also any of the following health-enhancing green superfoods all from another company E3Live — Renew Me, BrainOn, E3Live Apple~Lemon, and/or E3Live Original (all are certified organic and kosher). Isn't the color beautiful in the glass of water below? When you are green inside, you are clean inside, as my grandmother t aught me. To ask questions, or to order an Ionizer Plus®, call: 800-794-5355 (US & Canada) or 303-413-8500 (Intl). I go to Emery, their Product & Detoxification Specialist, at Ext. 813, when I have questions. Tell her hello from me. Mention my name ("SSJ") and get $300 off via Emery! For info on my book INVEST IN YOURSELF WITH EXERCISE: Tactics to Build the Exercise Habit and Enrich & Energize Your Workouts, available in 5 different formats, including a personally autographed copy, beautiful handwritten notecard, and bookmark from yours truly, click HERE. Click HERE to watch INVEST IN YOURSELF WITH EXERCISE, my WEBINAR presentation where I cover all aspects of why, when, how, and where to exercise to get the very best results. I even cover my surefire tips for doing Push-Aways. You'll be inspired to start exercising today or to upgrade your existing exercise program after watching this WEBINAR. Share it with friends and family to inspire them, too. On the program This Week in America, with host Ric Bratton, we discuss the topic... The Magic of Exercise: Tips for Staying Motivated to Workout. These are tips I've used with clients, friends, and family worldwide for decades and they really work. You will be so motivated to exercise that you'll probably start a workout before the show is over. Share this interview with family and friends. On another interview on This Week in America, we discuss EXERCISE FOR LIFE covering topics in this book, including how to exercise for peace of mind and equiminity; the best workouts to lose weight, reshape the body, and boost self-esteem; tips to look years younger; natural remedies for lowering blood pressure, cholesterol and anxiety; how exercise bolsters income and brain power; and more, click HERE. Below is the recipe for RENEW ME Pineapple Green Smoothie. It's excellent to drink before and/or after workouts for endurance and exercise recovery, and it also supports weight loss and vision. For decades I have been doing Push-Aways, a word I coined in the '70's when I was the first fitness trainer in Los Angeles. I do them anywhere and everywhere I can. They are so simple and effective. Actually, they are simply a modified push-up, which is usually done on the ground. But much of the time, we don't want to get down on the ground to do a push-up when we are outdoors. So a push-away is perfect and lots of fun! Within a few days, you will see your strength improve and you'll be able to graduate to doing more reps on a lower railing, too. During my hikes and outdoor power walks or jogs, I'm always looking for railings, walls, benches, fences, banisters, tree stumps, and anything on which to support my body weight. I also do them in my kitchen on the edge of island and peninsula, my office desk, and even on my bathroom vanity. Notice this photo of my client Peter above near his home in Malibu. He is using the railing of the walkway to do his push-aways. Vary your arm position. Peter is doing this set with his hands placed under his shoulders. This gets the chest, front of the shoulders, and arms. If you keep your elbows close to your sides, you will also get your triceps (the underneath part of your upper arms). Then after a few seconds rest, do another set with your hands a bit wider than your shoulders, which is great for strengthening all of you chest muscles. Before I exercise, I always take one tablet of Vital Reaction® Molecular Hydrogen dissolved in water to boost energy and muscle endurance and to reduce recovery time after exercise — alleviate joint and muscular aches and pains. If I have time, I also use the H2 Inhaler. Both are front and center in my healthy living program. Hydrogen Tablets and Inhalation therapy supports easier weight loss, increased energy, more youthful skin, allergy relief, brain focus, improved digestion, lowered blood pressure, longevity, and so much more. To learn more, please click HERE. Get a 10% Discount & FREE Shipping on the H2 Inhaler & Tablets with the Code SUSAN10. When I have questions on the Molecular Hydrogen products (and their Infrared Saunas or Ionizer Plus Alkaline Water Electrolyzer or need to place an order, I go to Emery at Ext. 813 at High Tech Health, their Detox Specialists and also a renowned expert on these healthy living products. Tell her hello from me! When you look in the mirror, are you feeling and looking your very best? If not, maybe it's time to take better care of your body and embark on a detox and rejuvenation program. In case you're not aware, there's an epidemic sweeping America (and worldwide) that I refer to as "internal toxic pollution." Many pe ople suffer from chronic disease and loss of health not only as a direct result of unhealthy conditions environmentally, but internally as well—within the human body. We often think of health as the absence of disease. But, is this truly health? Are we healthy one day and then all of a sudden sick the next? There's a plethora of evidence that demonstrates to us that health or sickness is a process that develops over a period of time (often years) and is based at the cellular level. Click HERE to read my article WHEN YOU ARE SERIOUS ABOUT WHOLE-BODY DETOXIFICATION and the myriad ways it benefits your body, mind and life. For more info on detoxifying and reinvigorating the body, refer to Choose to THRIVE: Open Up to Vitality, Prosperity & Equanimity. To read the Foreword for this book, please click HERE. Is there room for improvement in your diet and lifestyle? It's my belief that our modern diets are to blame for many of our most common ailments. Many people are digging their graves with their knives and forks and are making life and death decisions every time they sit down to a meal or snack. Disease often occurs as a result of an unhealthy lifestyle, which causes the body to become sluggish, congested, acidic, and polluted. Antibiotics, excess sugar, carbonated beverages, chemical food additive and over-the-counter drugs can alter the acid-alkaline balance of the intestinal tract, often killing beneficial bacteria and creating the perfect environment for harmful microbes to grow. Without the "good" or "friendly" bacteria to keep them in check, these "bad" bacteria can eventually overrun our body and severely depress our immune system. Make sure you are taking a good probiotic supplement daily to keep your friendly bacteria flourishing. I take and highly recommend E3Probiotics 50 Billion pictured above. Mucoid plaque is a slimy gel-like substance that covers the inner lining of the intestines and bowel. Plaque harbors toxins and interferes with nutrient absorption. The colon is known to hold up to 30 or more pounds of old matter and can be packed with undigested foods and disease promoting bacteria. Additionally, parasites are a toxic menace and can wreak havoc in your body. When faulty digestion keeps food from being properly processed and sent out of the body, undigested food can remain in the body and create fermentation and putrefaction. This can cause parasites and germ life to develop. Parasites thrive in an unhealthy, unclean colon. If the bowel contains partially digested proteins, sugars, or starches, it can harbor an alarming variety of parasites. These parasites can range from microscopic organisms to tapeworms 15 inches long. Not very pleasant, is it? If you are 30 years or older, I highly recommend taking enzymes daily. My favorite plant-based enzyme product, E3Enzymes Supreme Enhanced with E3AFA, helps to break down fats, proteins, and carbohydrates in the food we eat, allowing nutrients to be extracted, absorbed, and carried through the blood stream to the organs and cells of the body. These are the best enzymes I've ever taken, and now I wouldn't be without them. I even take them with me when I travel. Undigested food creates a toxic build-up in the body, and this, in turn, causes weight gain and makes it difficult to lose weight. Many friends and clients have also reported to me that they no longer had issues with bloating, gas, halitosis, burping, and indigestion. What I have found personally, and many have also confirmed with me from their personal experiences, is an easier time losing weight and keeping it off once we all started taking E3Enzymes Supreme. For healthy digestion, I take 2 capsules about 15 minutes before each meal. When I use these enzyme for body cleansing, I take 6 capsules, 3 times per day on an empty stomach either 1 hour before or 2 hours after a meal. Store them in a cool, dry place; no refrigeration is necessary. I encourage you to try/test the E3Enzymes Supreme for a 3-month period and see how much better you'll feel. I think you will be amazed at the difference in your digestion, energy, and mood! In my book BE THE CHANGE: Living with Faith, Confidence & Vigor, you'll learn more about year-round detoxification, simple steps to rejuvenate body, mind, and spirit, and how to bring more joy, passion, and balance into your life. To read the Foreword for BE THE CHANGE, please click HERE. On the radio program, This Week in America with host Ric Bratton, I discuss pH balance, how to identify if you have Metabolic Acidosis (most people have this condition and don't even know it), and surefire tips to heal with an alkaline diet and lifestyle. To listen, click HERE. On another episode of This Week in America, we discuss in detail the ABCs of Infrared Saunas, the benefits of having one in your home, where to purchase the best one and get a discount, and how saunas heal and rejuvenate the body in... Sweating Your Way to Vitality. Click HERE to listen. 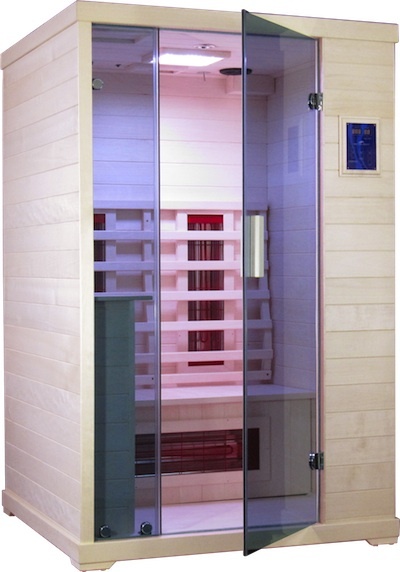 Saving You $500 for an Infrared Sauna and $300 for the Ionizer Plus Alkaline Electrolyzer. Call Emery (Details Below — 800-794-5355 MT, Ext. 813) and Use My Name (SSJ) as the Promo Code = $800 Savings! Any time of year is the best time to cleanse and rejuvenate your body from head to toe, inside out. What’s the best way to do this? WATER, WATER, WATER. 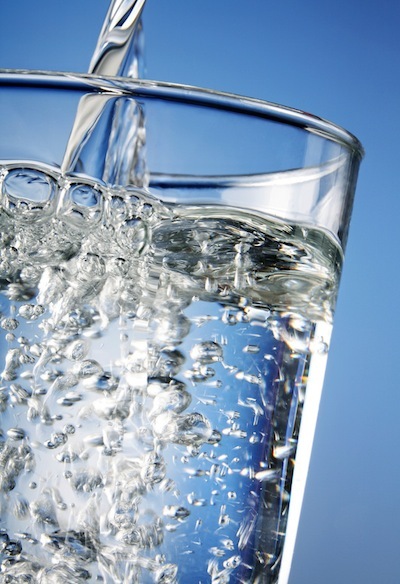 The most essential element in nutrition is water. Depending on the source, water almost always contains valuable minerals such as calcium, magnesium, and potassium. The Ionizer Plus® Water Electrolyzer, pictured in the two photos in this page, which I've used for over 20 years in both my office and home, concentrates the minerals present in your water. This process makes both the water and the minerals more bioavailable and easily absorbed. Drinking this delicious water has the effect of improving the digestive system. In fact, the High Tech Health company guarantees that it will help solve digestive problems within 30 days, or your money back. To read detailed info on how alkaline, electrolyzed water heals your body from head to toe, inside out, please CLICK HERE. This advanced ionizer/water purifier filters the tap water and removes all impurities, including arsenic and other CHEMICALS. Then the water is treated with ultraviolet for disinfection. Next, it enters an electrolysis chamber where it is treated with a precise direct current that divides it into tw o distinctly different types of water, alkali-ion and acidic-ion. The resulting alkaline water permeates the body quickly and efficiently. I would not be without my Ionizer Plus. I use the alkaline water for drinking and in my food recipes, and I use the acid water for all of my plants and for special topical skin rejuvenators such as frozen ice cubes to rub on my face and neck after showering (a surefire natural beauty secret that will give your skin a youthful glow every time; I do this 3-4 times weekly to keep my skin radiant). A Simple Weight Loss Program that REALLY Works! Get $500 off an Infrared Sauna and $300 for the Ionizer Plus Alkaline Electrolyzer. Call Emery (Details Below —800-794-5355 MT, Ext. 813) and Use My Name (SSJ) as the Promo Code = $800 Savings! Recently, I asked 21 of my clients to eat two large-size salads a day for 30 days and include lots of leafy greens and a variety of vegetables in their salads. The salads needed to be eaten before other foods at the meal. Salads fill you up with healthy fiber so you have less space for unhealthy foods afterwards. Nothing else in the rest of their diets changed except that each person also took two nutritional supplements that I also take daily — RENEW ME and BLUE MAJIK (an AquaBotanical), in either capsule or powder form. At the end of one month, everyone lost weight — from a total of 5 pounds to 12 pounds — simply by eating two salads daily and taking these two supplements. While these are not weight loss supplements, they are excellent for detoxification, immune health, vitality, and rejuvenation. What's more, they all had other healthful benefits such as better digestion, improved sleep, elimination of constipation, higher energy, and more glowing skin. Make salads your constant companions. Get in the habit of eating raw salads daily before you eat other foods, especially cooked foods. It's a health and beauty secret I teach many celebrities I work with, both men and women, who wish to lose weight, boost energy, get healthy, and look younger... really fast. In a follow-up study, I asked another separate group of 20 people to participate who all owned both an Ionizer Plus Alkalin e Water Electrolyzer as well as either a Thermal Life or Transcend Infrared Sauna. (Both are available from the renowned company High Tech Health in Boulder, CO.) They were asked to duplicate the same routine as above with the salads and two supplements, except this time, each participant also drank 8 glasses of the Ionizer Plus alkaline water daily, took an infrared sauna daily, and consumed a Renew Me Today Pineapple Green Smoothie daily (click the link for the recipe) either as a snack or sipped throughout the day. In other words, this second group had two servings of Renew Me daily. All of the second group's results were off the chart positive — losing between 12 and 24 pounds in a 30 days. In addition to the positive results experienced above with the first group, this second group also reported other benefits such as deep relaxation, reduced joint stiffness and muscle aches, and a more positive attitude. To order an Ionizer Plus and/or a Transcend or Thermal Life Infrared Sauna, or t o get more info, please call Emery, ext. 813, their Detoxification and Product Specialist: 1-800-794-5355 (US & Canada) or 1-303-413-8500 (Intl), both MT. She will happily answer all of your questions. For a limited time, get $500 off your purchase of a sauna and $300 off the Ionizer Plus with my name ("SSJ") as a code. To ord er both Renew Me and Blue Majik, visit: E3Live Company or call: 888-800-7070 (US & Canada) or 541-273-2212 (Intl), both PT, M - F 8 - 4. They will happily answer any questions you may have about their products and how many bottles to order. They are very friendly and helpful. Please tell them hello from me. I am never without these two nutritional supplements in capsule form when traveling. To order Blue Majik in powder or capsule form, or for more delicious, nutritious recipes using it, please click HERE. Blue Majik (an AquaBotanical extract) is a rich source of Phycocyanin — a powerful, deeply detoxifying antioxidant, an AquaBotanical, which can quench free radicals and has been shown to be a potent natural COX-2 inhibitor. Phycocyanin is being studied more and more by scientists around the world in recent years. The word “phycocyanin” comes from the Greek word for Algae “phyco” and the Greek word for blue “cyan.” Phycocyanin is an amazing water-soluble blue pigment that gives spirulina its bluish tint. Phycocyanin is only found in blue-green algae—you can’t get it in other foods. Below are a couple delectable ways to consume Blue Majik. You can also choose to simply take it in capsule form. I'm never without the capsules when I travel. 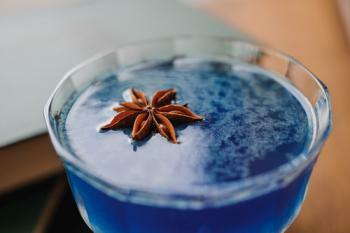 Having this Blue Majik Cocktail daily will do wonders for your vitality, energy, appearance, and confidence! This simple recipe will knock your socks off. It takes about two minutes to make; it's delicious; it cleanses and rejuvenates the entire body; and it's so beautiful. At the end of this article you'll find a Detoxify & Rejuvenate Smoothie Recipe. Here is a interview with me by UNITY that you might be keen on reading. I discuss some of my favorite tips for staying healthy and losing weight. As you'll see, these are all recommendations that work year-round, for all ages, no matter where you live on our magnificent planet. At the end of the article, you will find my Detoxify & Rejuvenate Smoothie Recipe — also perfect to enjoy 365 days a year! I will include some comments in blue to suggest my favorite products and where to get them easily. Susan Smith Jones, PhD, hasn’t been sick in over 30 years. She doesn’t receive flu shots or take medications. Some people may call it clean living, others may credit luck, but Jones attributes her phenomenal health to the wisdom passed down from her grandmother who taught her to rely on nature’s nourishment—food, spices, herbs and healthy lifestyle choices— for total wellness. Jones has made it her life’s mission to spread this wisdom, first as a teacher for more than 30 years at the University of California, Los Angeles (UCLA), and by establishing herself as a foremost expert on diet, nutrition and natural remedies, writing more than 2,500 magazine articles on health and 30 books, including Choose to Thrive, Invest in Yourself with Exercise, Living on the Lighter Side, The Curative Kitchen & Lifestyle, and for children, Vegetable Soup/The Fruit Bowl. When it comes to creating vibrant health season after season, Jones said we should look to the “superfoods” and other lifestyle choices for healing the body, boosting immunity, and feeling energetic and youthful... at any age. Each day when you wake up, she says, can be a new beginning, a fresh start where you commit to the healthiest lifestyle possible. She reminds us that we are the President and CEO of our body and our life and we need to make our health a top priority day in, day out. Here are her top tips for staying well — mentally, physically and spiritually — this season and beyond. For more information on saying goodbye to insomnia and how you can sleep like a baby, please click HERE. There is nothing more restorative for the body than getting ample sleep night after night after night (or day after day if you work at night and sleep in the daytime). A good night's sleep is one of the most important parts of a wellness lifestyle and an essential component of being vibrantly healthy. Sleep is when we reset our appetite control and pain control. Sleep is when our energy regroups for the day to come. Below you will learn about some of my favorite tips for daily, restorative sleep, including my favorite mattress, hydrating water, heat therapy, the best superfood, and more. The costs of sleep deprivation are irritability, falling asleep at work, wavering attention, and not fully processing the outside world. Tension, physical or psychological, keeps us from relaxing sufficiently to fall asleep. People are literally taking their worries to bed. Learn techniques for coping with stress and "winding down" before bed. Relaxation techniques such as deep breathing, stretching, and meditation are very helpful. Regular exercise is also a terrific way to help you sleep better. But don't exercise right before you are about to go to bed. Lack of sleep undermines your body's ability to deal with stress. Research suggests that even one or two nights of sufficient sleep (experts recommend eight hours) can lower levels of the stress hormone cortisol more than a number of other stress management techniques combined. Granted, stress often interferes with sleep, but do your best to increase your chances of getting quality sleep by avoiding caffeine after noon, establishing a regular bedtime and wake-up time, and doing something relaxing in the hour before bedtime (no electronic devices!). Here's a tip to remember: Don't associate the bed with wakefulness. If you can't sleep, get up and read a book, knit, watch television, or write in a journal until you feel sleepy. Avoid sleeping pills and alcohol. On the link above, I write about some of my favorite natural, effective, herbal remedies to help with getting deep sleep. Sleep plays a major role in glucose metabolism and neuroendocrine function. Research shows that getting a good night’s sleep is a critical part of losing weight. In a 16-year study involving 70,000 women, researchers found that women who slept five hours per night were 32% more likely to experience major weight gain (an increase of 33 pounds or more) and 15% more likely to become obese, compared to those who slept seven hours a night. “Sleeping less may affect changes in a person’s basal metabolic rate (the number of calories you burn when you rest),” says lead researcher Sanjay Patel, MD., of Case Western Reserve University. In Hong Kong, researchers found that children who did not get sufficient hours of sleep were more likely than their well-rested peers to be overweight. It’s possible that reduced sleep means adults and kids are tired and therefore less likely to exercise. There is also some evidence that lack of sleep produces changes in levels of satiety and the hunger hormones leptin and ghrelin, according to Brown University Professor of Psychiatry and Human Behavior Mary A. Carskadon. Too little sleep also makes you hungry, especially for calorie-dense foods, and primes your body to hold on to the calories you eat. It also boosts your insulin levels, which increases the risk of heart disease and diabetes. So if losing weight is one of your goals, make sure that you make getting enough sleep a nonnegotiable daily practice in your life. And here are some more surefire tips to help you sleep like a baby.